Explicit TPB – EP 114 – Transformers: Last Stand of the Wreckers! 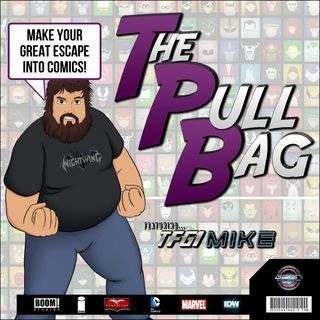 In the 114th episode of The Pull Bag it's time to make a LAST STAND! That's right "Team Angel" reviews Transformers Last Stand of the Wreckers! Tune into hear us gush about this 5 issue series from Nick Roche and James Roberts! Don't forget to inject your Hot Chocolate everyone! And always remember to MAKE YOUR GREAT ESCAPE into Comics!!!! The post TPB – EP 114 – Transformers: Last Stand of the Wreckers! appeared first on GeekCast Radio Network.